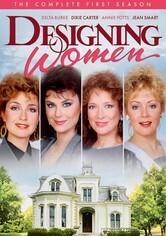 This Southern-fried, ladies-first sitcom was a lasting hit after its 1986 debut, fueled by the catty wit of Dixie Carter and Delta Burke as the Sugarbaker sisters, and Annie Potts and Jean Smart as their staff at the Sugarbaker interior design firm. Despite the crackling sarcasm, the women also loyally support one another as they struggle through the classic challenges of life, from family to romance to breast augmentation and bankruptcy. 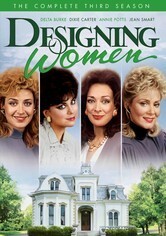 The premiere season of this long-running sitcom follows sisters Julia and Suzanne Sugarbaker (Dixie Carter and Delta Burke) as they labor to get their Atlanta-based interior design company off the ground, with the help of designer Mary Jo (Annie Potts) and office manager Charlene (Jean Smart). The women spar endlessly, even as they help one another through romantic entanglements, impending middle age, voodoo death curses and more. 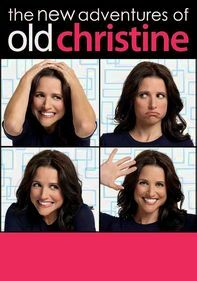 Southern belles Julia and Suzanne, along with the rest of the Sugarbaker and Associates crew, return for a sophomore season of this long-running, Golden Globe Award-nominated comedy series. 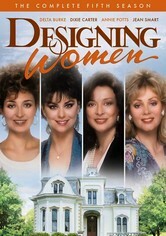 In this season, Julia and company take on the task of redecorating a rundown gas station; Suzanne discovers that her ex-husband's writer's block has pushed him to the brink of suicide; and a fellow decorator asks the girls to design his funeral. 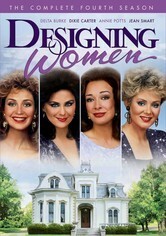 Led by steel magnolia sisters Julia (Dixie Carter) and Suzanne (Delta Burke), the ladies of Sugarbaker and Associates return for another season of Southern charm, domestic dramas, uproarious laughs and down-home mischief. 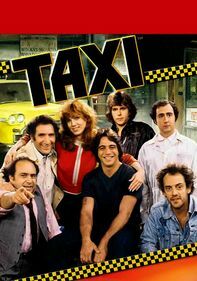 In highlights from Season 3, Julia runs for a seat on the local board of commissioners; Mary Jo (Annie Potts) considers breast augmentation; and Anthony (Meshach Taylor) decides to mentor a troubled teen. 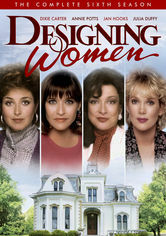 There's no shortage of laughs or Southern charm when it comes to this popular sitcom, centered around the outlandish decorators that make up the ranks of the Sugarbaker and Associates design firm. 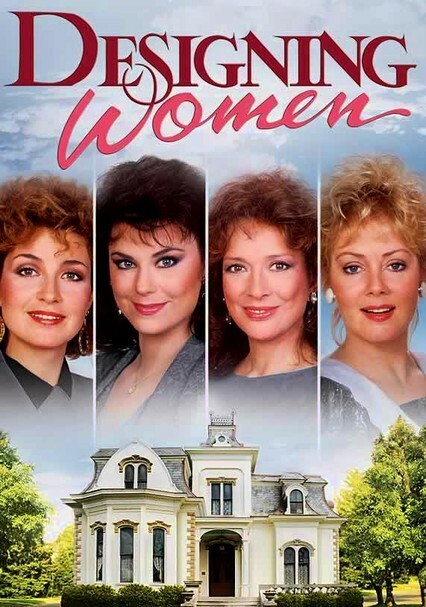 In this season, the ladies embark on an ill-conceived canoe trip; Julia (Dixie Carter) agrees to meet with a former classmate whom she learns is terminally ill; and Julia and Suzanne (Delta Burke) fly to Japan to visit their mother. 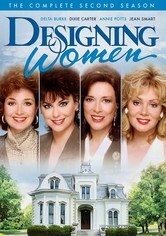 Dixie Carter, Delta Burke, Annie Potts, Jean Smart and Meshach Taylor return for another season of this popular sitcom, which follows the unpredictable lives of the Sugarbaker and Associates interior design company. 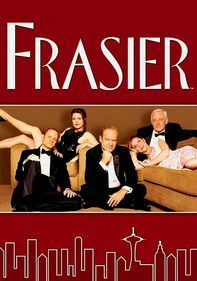 In this season, Anthony meets his father for the first time; Charlene enters her baby in an audition for a modeling gig; and Julia's avoidance of jury duty may cost her a meeting with former President Jimmy Carter. 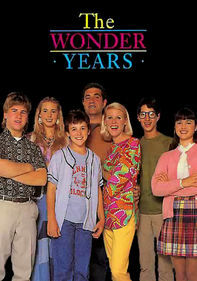 Following the twin departures of Suzanne and Charlene, Sugarbaker and Associates finds itself with a new partner -- Julia's cousin Allison Sugarbaker (Julia Duffy) -- and Charlene's baby sister, Carlene (Jan Hooks), also joins the firm. In this season, Julia squares off with the opinionated Allison over control of the business; Mary Jo considers in vitro fertilization; and the firm enters a Christmas design contest. Parents need to know that this series takes on strong, sometimes-controversial topics (AIDS, racism, etc.) from a feminist point of view. There are also occasional non-explicit references to sexual behavior (after all, the women do have "designs"). 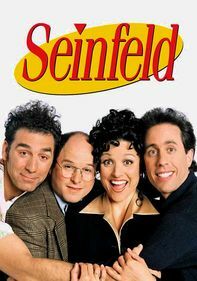 Perhaps most significantly, this series emphasizes strong, independent female roles and discusses important social and moral issues. Mild references to sexual behavior. Lots of dating and romance. Occasional discussions of violence against women. 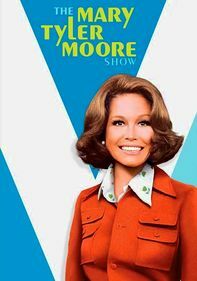 The show deals with many controversial issues, including racism, homosexuality, AIDS, domestic violence, and sexual harassment. The discussions of these issues are often feminist in nature and focus on being socially aware and morally responsible. Strong, independent female role models (even Suzanne). Occasional references to alcohol, including wine and homemade alcoholic beverages. Characters rarely smoke, but when they do, it's treated as negative behavior.